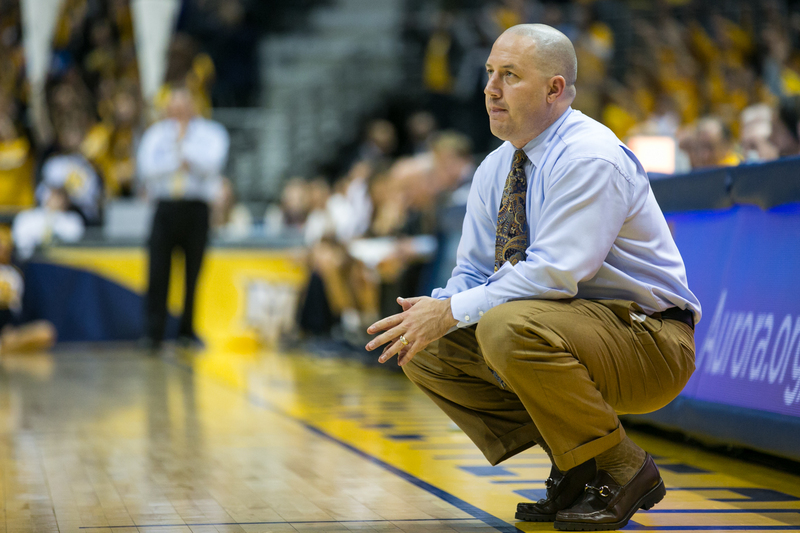 Buzz Williams couldn’t save Marquette by himself. The win-or-go-home games have finally begun for Marquette. For five previous seasons under Buzz Williams (with the exception, maybe, of 2011) these contests have occurred in the third week of March, not the second. But this is what 17-14 gets you. Winning half your conference games, including just two of your last six, means the conference tournament is do-or-die, where 40 minutes of bad basketball means hanging out on Selection Sunday with the television tuned in to anything but CBS. Which begs the question: How the hell did we get here? How did a team pegged by fellow Big East coaches in October to win the league, and voted on by the national media and college coaches as the 17th best team in the entire country get to this point? How did a team with four seniors, three of whom started and a fourth who was expected to lead the team in scoring, win as many regular season games as Tulane, Fresno State, Oral Roberts and Texas Southern? How did a team known for its grit-and-grind, 40-minute-of-hell style go 8-9 in games within five points with 5 minutes to play? For the majority of the 283 teams that won’t participate in March Madness, a lack of talent is the answer to most of the questions their respective fan bases ask. But a team with Jamil Wilson, Todd Mayo, Davante Gardner and Deonte Burton doesn’t get off that easy. Junior Cadougan and Trent Lockett were key players on last year’s Elite Eight team, but Marquette has dealt with the loss of seniors as well as any team in the country; it’s not cliche, it’s fact. Vander Blue was Marquette’s best player last year, and would have been this season. He wasn’t a godsend. Buzz Williams and the Golden Eagles had months to deal with Blue’s perplexing decision, and when Jameel McKay transferred to Iowa State weeks before the season it was supposed to be an opportunity for Juan Anderson and Steve Taylor to step up, not a death sentence. Duane Wilson was already set in a back-up role behind Derrick Wilson when he suffered a broken leg, and it’s difficult to pinpoint any losses in which he would have made a difference, even in a best-case scenario. So, let’s ask again: How the hell did we get here? How did Jamil Wilson score five or fewer points in seven games? How did Derrick Wilson shoot 44 percent from the free throw line and in almost 1,000 minutes make one more 3-pointer than I did? (Note: I didn’t make any this year) How did Steve Taylor shoot 33 percent from the field after making more than half his shots as a freshman? The answer, it seems, was underneath our nose the entire time. At Marquette’s media day Williams spoke, as always, candidly about his team. He noted that he was starting to trust Derrick Wilson more, that Chris Otule was “answering the bell every day” and that Duane Wilson needed to transform from an athlete into a basketball player. It was the usual company line on most players, but something Williams said five months ago is the answer to all the “how” questions asked above. Read that quote again, keeping in mind Marquette’s 31 games this year. Words such as “accountability” get tossed around when losses begin to pile up, especially with a team expected to compete for a conference title and ninth straight NCAA Tournament appearance. But what you’ll find looking back at each one of the times things went sour in Milwaukee, there was an enormous lack of just that. Aside from the Feb. 19 loss to Creighton — Marquette had won three straight prior to a loss that was expected — Williams’ statements after defeats changed in tone. In the beginning it was about “needing” to do this and “continuing” to do that better. Williams seemed confident that his team would turn things around, that the lack of leadership and accountability would disappear at some point. That never happened. And while it’s unfair to say exactly what Williams’ tone was based on one simple quote directly after these losses, it was apparent that frustrations seemed to boil over as the season progressed and the tallies in the loss column piled up. Williams struggled at times to put together a consistent rotation, and many clamored for more Jajuan Johnson and Deonte Burton in place of Juan Anderson and Jake Thomas. But Williams sees these players every day, and he’s the man who put together rotations that led Marquette to a pair of Sweet 16s and an Elite Eight. No, the problem was that no one player took the onus for a 7-5 record. A 9-7 record. A 12-10 record. A 17-14 record. We, the media, don’t have the privilege of being around the team during practice, in the locker room, in study hall or in the huddle. But remember that quote from Williams in September, about how everyone seemed to be looking around for someone to speak up and lead? My guess is Williams saw that exact scenario play out late against San Diego State, at many points against St. John’s and in a pair of double-overtime losses to end the regular season. Now Williams’ group has three chances to make magic happen and somehow find a way to earn victories for an automatic bid to March Madness. As they learned this season, talent only gets a team so far. So, too, does a magnificent head coach with a track record as good as any his age. Without a leader — or if you don’t prefer that word, we’ll use someone who isn’t worried about what others will think — a team is as good as average. That’s what Marquette has been and, barring a Kemba-esque miracle in New York, that’s all they’ll be this season.